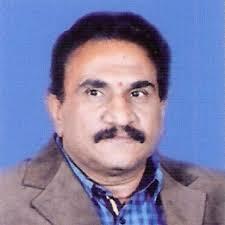 Dr. SDS Murthy works as a Professor of Biochemistry at Sri Venkateswara University, Tirupati. His educational qualifications are as follows: I. Bachelor degree with distinction in Biological Sciences from Sri Venkateswara University, Tirupati. 1982. II. Master degree with second rank in Biochemistry from Sri Venkateswara University, Tirupati, 1984. III. Master of Philosophy in Life Sciences from Jawaharlal Nehru University, New Delhi. 1987. IV. Doctorate degree in Life Sciences was awarded by Jawaharlal Nehru University, New Delhi. 1991. His recent awards include: I. CSIR Research Associateship-1992. II. Postdoctoral fellowship by INRS Eau, Canada for the year 1992 -1993. III. DST -SERC young scientist project under SERCYS, 1993. IV. DST-YS Young Scientist Project under SYS, 1996. V. Best Speaker Award in National Seminar on Plant Biotechnology Conference at Bareilly for the year 1997. VI. Fellow of "Society for Plant Research" for the year 2000. Dr. SDS Murthy research and teaching interest include teaching analytical, biophysical techniques, intermediary metabolism and technical writing, Conducting research on the primary processes of photosynthesis under stress conditions and responses of plants for last 28 years.